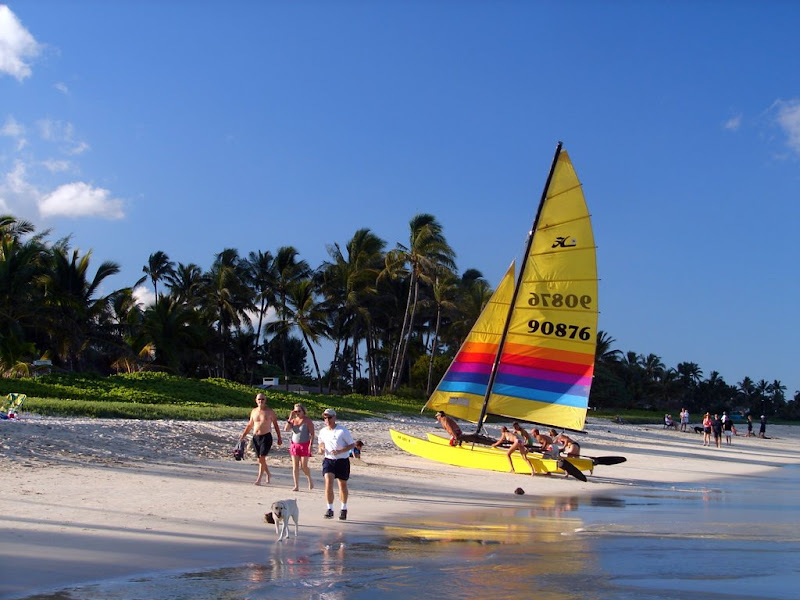 A local family works together to beach their catamaran sailboat on upper Kailua Beach. Looking out over Kailua Bay, Windward Oahu. Plenty of sun and powdery soft white sand make Kailua Beach the perfect place to work on your tan. 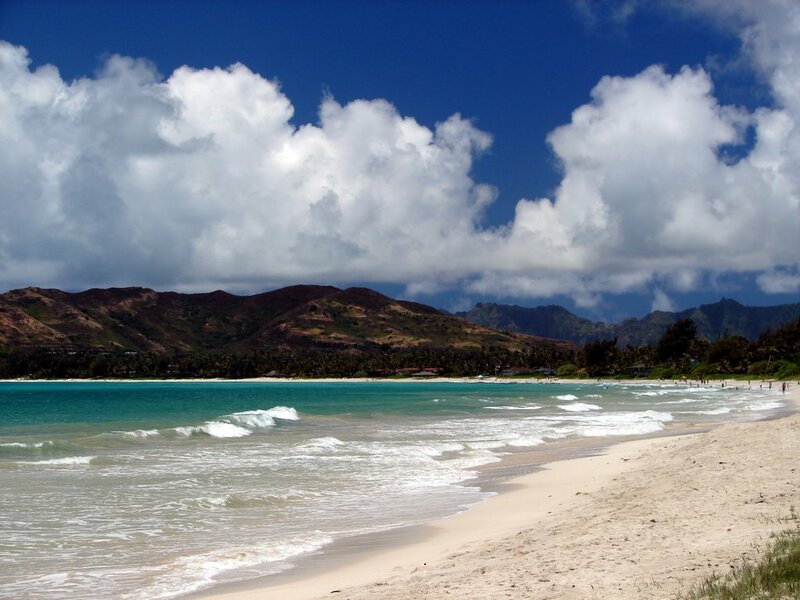 At the end of Kailua Beach is the exclusive beachfront community of Lanikai. Tide pools located at the far end of Kailua Beach near the entrance to Lanikai. The Koolau Mountain ranges stands prominently above Kailua Beach. Clear blue-green water makes Kailua Bay the perfect spot for ocean kayaking. Calm water makes Kailua Bay the perfect spot for ocean kayaking.